There is a farm in my hometown where I used to volunteer, and when I’m in town I often find myself driving back toward it, pulling up to the red barns, jumping out to greet the pigs and chickens. Life has always been like that for me. One of the first requests I had as a child was for a dog; as I got older and began working at animal shelters regularly, I’d bring dogs home myself. I’ve even traveled overseas to work with them. Every time I move to a new city, my first instinct is not to join clubs or go to bars in search of new friends, but to find a farm or animal refuge, anyplace allowing me to work alongside my nonhuman friends. I picked up The Good Good Pig on a whim years ago because I love pigs (surprise! ), but I put off reading it for a long time. What a mistake. 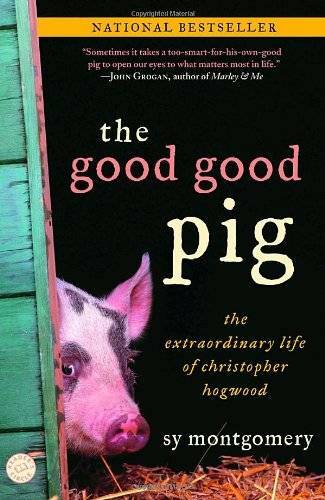 When I finally got into it, I fell in love—with Christopher Hogwood, Montgomery’s beloved pig, and with Montgomery herself. An introverted naturalist who’s lived in remote parts of the world studying dolphins, apes, man-eating tigers, and more, she writes about 750-pound Christopher with respect, awe, and gratitude for the ways in which he changed her life. Temple Grandin is a professor of animal science and a consultant to the livestock industry, focused on improving standards in slaughterhouses and on farms. 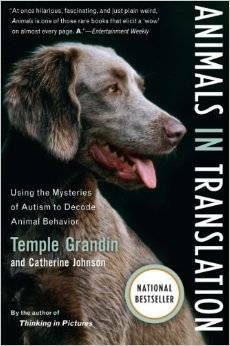 Diagnosed with autism at an early age, her sensitivity to the environment around her, and the way in which she relates to animals and picks up on their emotions, led her to be a pioneer in animal behavior. 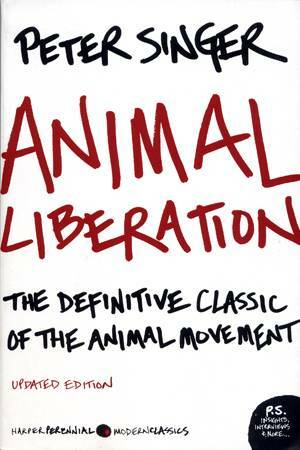 Start with Animals in Translation then move on to Animals Make Us Human. By the time you’re done, you’ll have a better understanding of how to interact with the animals in your life, and greater compassion for their fears, instincts, and anxieties, too. Gene Baur is an animal rights activist and co-founder of Farm Sanctuary, a farm animal protection organization with shelters in upstate New York and California. 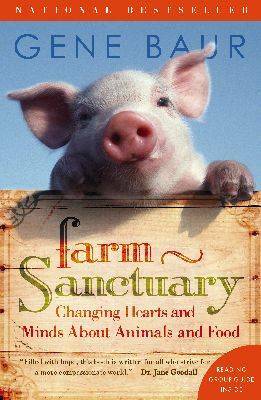 His smart, thoughtful, and well-researched book takes you through his life, the formation of the sanctuary, and the organization’s work of rescuing, protecting, and legally defending animals. Whether you forswear animal products or eat meat every day, it’s impossible to read this and not have great respect for Baur. This is a book that stays with you, and apparently I’m not the only one who thinks so. Jon Stewart’s wife, Tracey, recently named it as the inspiration behind the couple’s animal activism. I’ve spent time with dogs, cats, ferrets, rabbits, donkeys, cows, horses, llamas, chickens, pigs, goats, guinea fowl, and more—and each animal had a specific personality and range of feelings. Goats are lively creatures who love to hop and play, while roosters are protective, and sheep are shy, feeling safest in the flock. 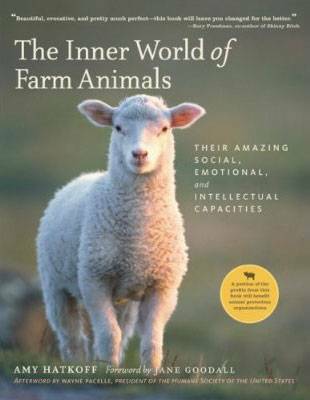 The Inner World of Farm Animals offers an excellent introduction to animal emotions and behaviors—and it has the best photographs, too.